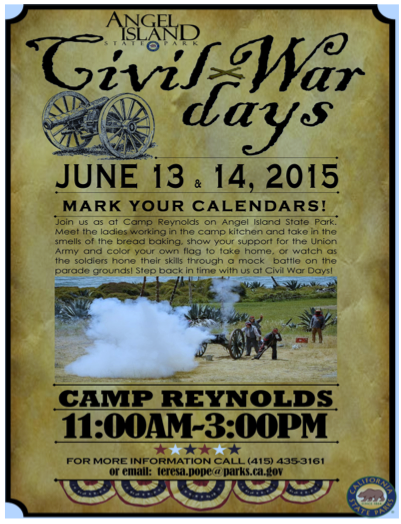 Visitors to Camp Reynolds during Angel Island Civil War Days can become recruits to the Union Army and try their hand at baking army bread, meeting an Army Surveyor (Mapmaker), learning the marching drill, and other soldierly skills. 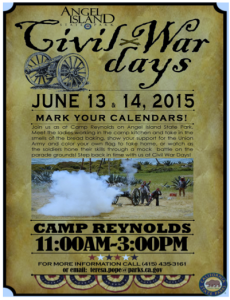 Witness exciting mock battles between Union and Confederate forces by historic re-enactors and park volunteers on the parade ground at 12:30 p.m. both days; with a bonus battle on Saturday, June 13, 2015 at 2 p.m.
Show your support for the Union Army by coloring your own flag to take home! Visitors to Camp Reynolds can become “recruits” to the Union Army with the opportunity to bake bread in the camp kitchen! 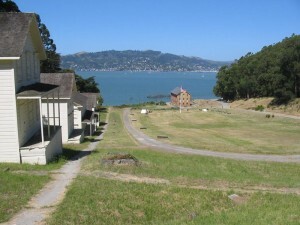 Angel Island – Tiburon Ferry dock is located at 21 Main Street in the storybook town of Tiburon, California. Getting there: Hop on Angel Island – Tiburon Ferry’s hourly ferry to Angel Island State Park via Tiburon, California. 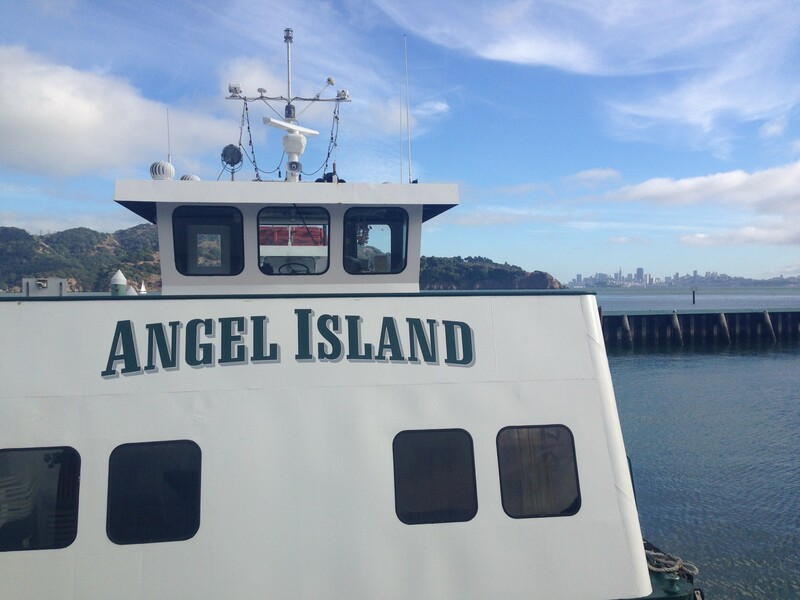 Angel Island Ferry runs 7 days a week with weekend service to Angel Island State Park 10 a.m. – 5 p.m.
Click here for access to current Angel Island – Tiburon Ferry Schedule. For more information contact the park at (415) 435-5390. For ferry information from Tiburon, California contact Angel Island – Tiburon Ferry Company, (415) 435-2131.
angel isalnd tiburon ferry, Angel island, Angel Island events, Angel Island Ferry, Angel Island State Park, bay area family events, Captain Maggie, Civil War days, Civil War days on Angel Island, free family events bay area, Tiburon Ferry to Angel Island.